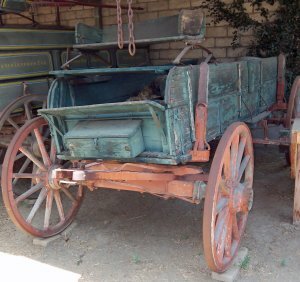 The Leonis Adobe boasts a wide variety of period wagons and farm equipment. 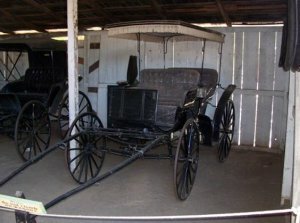 From the everyday Phaetons to the massive hay and cargo wagons, horse drawn vehicles of the 19th century are represented in the exhibits on site. Visitors get a firsthand grasp of the size and weight of these vehicles and the incredible amount of strength and endurance that was required of the horses. Hay was collected loose from the fields and transported to the hay loft. Vast quantities of the light weight hay could be piled on this large platform. 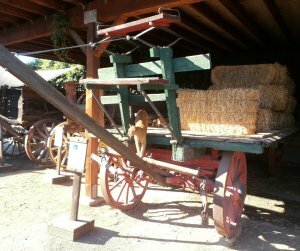 With the invention of the hay press around 1880 this type of wagon became less common. With the introduction of hay bales a different wagon was needed. As sides would interfere with the loading and unloading of the bales they are no longer present. The bales are stacked in an interlocking pattern to prevent them from falling off. 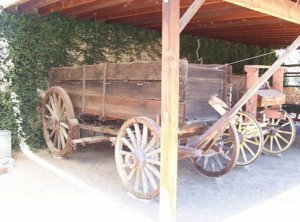 Wheel carts began in about 2500 B.C. with solid wheels. These were heavy and broke rapidly. 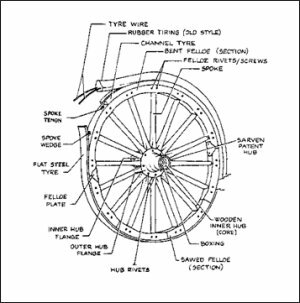 The spoke wheel was introduced about 1000B.C. They are much lighter and last far longer. The rim started as separate pieces called fellows. Later a single piece of weed was bent to create half of the rim. 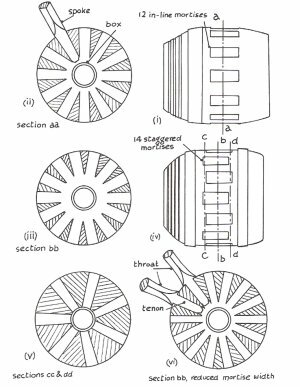 What holds the wheel together is the metal tire which wraps around and holds all the wooden components. Later a rubber tire fit into a metal channel. Notice the massive wheels and brakes. Chains run from one wall to the other to prevent the sides from spreading. Used for carrying rocks, ore, bricks, and other heavy material. This one is advertised to carry 6 tons. 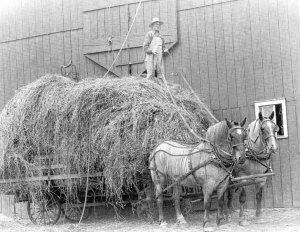 Hitch wagons were usually pulled by a large team of draft horses, due to their size and weight, to carry extra large or heavy cargo. 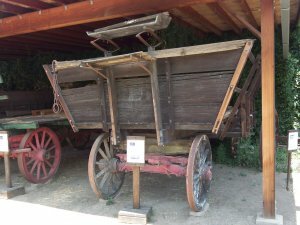 In 1887 the Birdsell Company began to manufacture farm wagons. 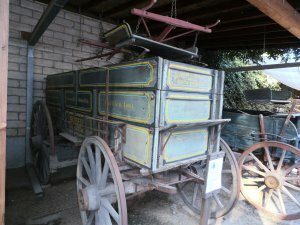 During the carriage era market wagons transported farm produce from the rural to urban areas and manufactured goods from factories to local or distant markets. This example has a typical deep body. This is a three level panel wagon with all the panels being removable from the chassis. Loops are provided for securing the panels to the chassis. It is advertised to carry 2 tons. The top boards are removable and the seat is fixed to the top boards. 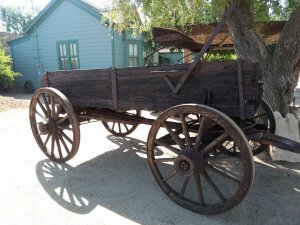 Note the body of the wagon rests on the chassis and is not fixed to it. Also called surreys were four-wheeled, open-sided carriages which varied greatly in body style and passenger capacity. The name Phaeton applies to all four-wheeled owner-driven vehicles. It was first used in the 1780s. It is believed to have originated in Greek mythology when Phaethon, child of the Sun god, was said to have driven his father's chariot wildly, almost setting fire to the earth. Implying the owner/driver was not as controlled a driver as the professional coachman. 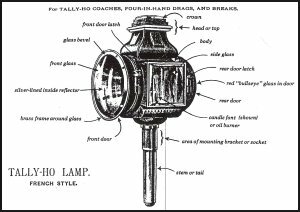 Initially kerosene, then carbide, and finally electric this improved the safety of travel at night. 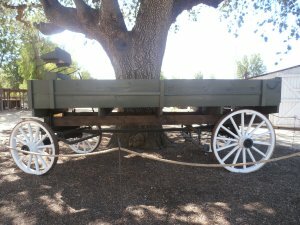 Supply wagons were used to carry supplies to and from the ranch or on cattle drives to provide food and provisions for the ranch hands. Tank wagons were used to deliver water, oil, kerosene and grease were to homes and retail stores. By 1900, Standard Oil had more than 5000 of its tank wagons throughout the country. 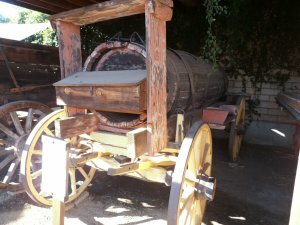 This wagon was for hauling water which was delivered to a trough in the back for the animals. Notice how the spokes enter the hub. If they all entered in a line, their only support in the front to back direction comes from the other spokes. To allow the hub to provide additional support, the holes for the spokes (called a mortise) are staggered. This small change greatly prolonged the like of the wheel. When metal hubs were introduced, the spokes were placed in a line again as bolts provided the needed support.